Beautiful! 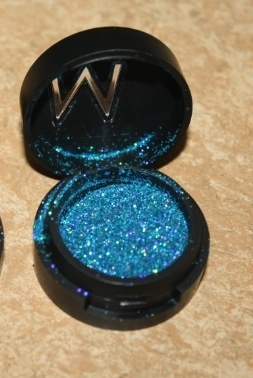 That glitter is to die for! 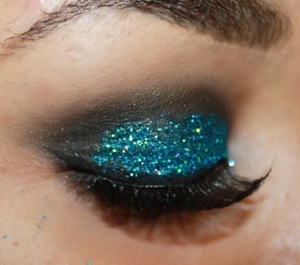 Did you use a base of the glitter? Thanks 🙂 I used eyelash adhesive as a base for the glitter! Love it! The color’s so much fun! Thanks 🙂 no you can’t! Its so pretty! Thanks for commenting! Very pretty w/o looking to show girlish! 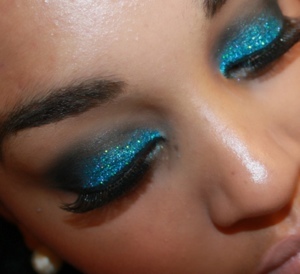 You should do a video tutorial for this! It’s such a great look. Btw, Do you have instagram? Also, I hope you’ll like my Facebook page http://www.Facebook.com/MsLoveNiki, Once I reach 100 likes I’ll be giving away an H&M gift card! I just followed you on instagram 🙂 I’m MsLoveNiki on there. Let me know if you end up doing a video! I love, love this! And it suits you well! Love this! How much was the glitter? Thanks! 200 SEK I think! 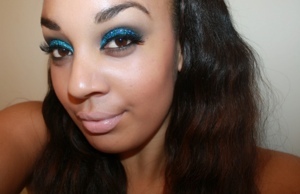 Love your blog, very inspiring and this eye shadow is Awesome!!! Thank you! I love your blog too I’m definitley following! Thank you Yomi! Me too actually! I hate how messy it gets.